Closet Chic: Color Blocking – Lovely.Multifaceted.Chic. The weather has been beautiful which means that means it’s time to bring out my warm weather clothes. I decided to do some color blocking with some clothes in the closet. Some of us actually color block and don’t even know it. 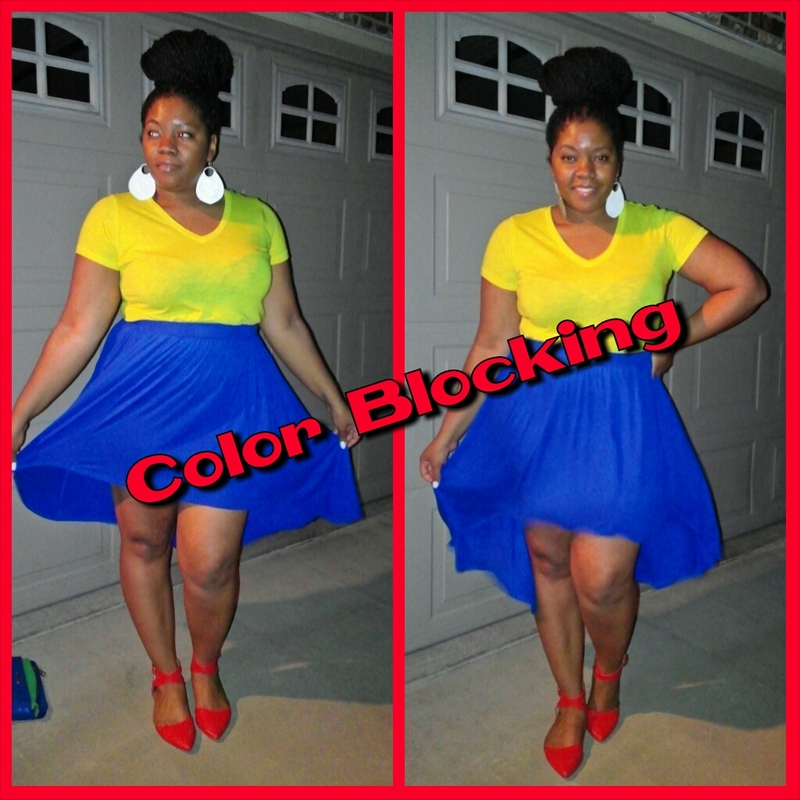 The term color blocking is a term in fashion that involves wearing solid color clothing to create an overall look. I chose a yellow t-shirt, a royal blue hi-low skirt, and my coral shoes. I added some yellow and blue floral print earrings with my overall look. Recommended Read: Who Moved My Cheese? Those colors are very flattering to your skin tone. Nice look!